Tags: Planned Parenthood, Closes Abortion Clinic, Killing Unborn Babies, for 35 Years, Augusta, Georgia To share or post to your site, click on "Post Link". Please mention / link to the Greater Fitchburg For Life. Thanks! by Elizabeth Slattery, The Daily Signal: On Wednesday, the Supreme Court will hear oral argument in the first major abortion case in nearly a decade. In the case Whole Woman’s Health v. Hellerstedt, the Supreme Court will consider whether Texas’ H.B. 2 law —a commonsense reform intended to increase women’s health and safety — meets the test laid out in prior cases. Texas passed H.B. 2 in 2013 to ensure that women are not subject to substandard conditions or practices at abortion clinics that could jeopardize their health and even lives. This came on the heels of Philadelphia abortion doctor Kermit Gosnell’s murder trial—which brought to light dangerous and unsanitary conditions at his clinic. The Texas law requires abortion clinic doctors to have admitting privileges at a hospital within 30 miles of the clinic and clinics to meet the minimum health and safety standards that other ambulatory surgical centers have to meet. These include standards for the operation of a facility (including requirements to ensure quality of care, facility cleanliness and safety, adequate staffing, and safe pathology and medical laboratory services, among others) and fire prevention and safety, among others. The state maintains legitimate and important interests in protecting the mother’s health and safety and the life of the unborn child throughout pregnancy. Before viability (which is at 23-24 weeks’ gestation), states may pass regulations that do not have the purpose or effect of imposing an undue burden on women who are seeking abortions. After viability, states may ban certain abortion procedures outright, provided there is an exception for the mother’s health. The abortion clinics and doctors challenging the law argue that Texas is not trying to advance women’s health, but is simply attempting to shut down abortion clinics. There is ample evidence, however, that these regulations are necessary to advance women’s health and safety. Texas also argues that the challengers are trying to “upend” the undue burden test and turn the courts into “medical board[s] with powers to approve or disapprove medical and operative practices and standards throughout the United States,” thereby overriding legislative determinations. Though some abortion clinics may close because they are either unable or unwilling to meet the ambulatory surgical centers requirements, that does not transform the law into an undue burden. As the Supreme Court explained in Planned Parenthood of Southeastern Pennsylvania v. Casey (1992), the fact a law might make it more difficult or more expensive to obtain an abortion does not mean it is per se an undue burden. Moreover, as Texas notes, “an abortion clinic will remain operational in each metropolitan area where petitioners allege one would close if the Court affirms. … Over 90% of Texas women of reproductive age will live within 150 miles of an operational abortion clinic.” Thus, the challengers cannot show that these provisions impose an undue burden “in a large fraction of cases,” which would be necessary for the Supreme Court to facially invalidate the law. In the more than 40 years since the Supreme Court invented a constitutional right to abortion, the abortion industry has evaded and fought commonsense regulations at every step. The result has been horrors like those found in the Gosnell clinic, which, for years, due to lack of regulation and oversight, harmed women and killed children born alive. The Supreme Court now has an opportunity to confirm that states have a legitimate interest in ensuring the safety and health of women who enter abortion clinics. The justices would do well to uphold Texas’ reasonable law and reconsider the long, deadly shadow that its abortion decisions have cast over American law, medicine, and society. Tags: Texas, Supreme Court, Whole Woman’s Health v. Hellerstedt, Texas’ H.B. 2 law To share or post to your site, click on "Post Link". Please mention / link to the Greater Fitchburg For Life. Thanks! Shawn Carney, Campaign Director, 40 Days for Life: Since it’s Leap Day … here’s something worth leaping for! During this 40 Days for Life campaign, we have reports of 196 children spared from abortion – that we know of! We have seen a surprising number of situations this campaign where mothers with five or more children have shown up for abortion appointments. Thankfully, these moms turned away. Our culture often views children as burdens to our time and money. But there is nothing burdensome about the joy, courage and sacrifice of mothers and fathers who put their children before the pressures of the world. Their sacrifice is real – and so is their love. Kim watched as an SUV pulled into the parking lot and a woman walked into the abortion center. They told Kim they didn’t know what to do. They already had ten children. She was there for an abortion … but just couldn’t go through with it. They were thinking now of adoption. One of the leaders in Falls Church walked up to a mother and her daughter outside the abortion center, offering to help them. She said yes – she already had a child … and she picked up the baby who had been sitting in the car. The young woman said she’d had an abortion previously – and wasn’t affected. As the mother and daughter walked away – and into the abortion center – the volunteer started to text a handful of friends to pray for the young woman, that the Holy Spirit would touch her heart. Two hours later, she came out and was asked if she decided to keep her baby. Tags: DAY 20, Too Many Children?, 40 Days for Life, 2016, Falls Church, Virginia, Temple Terrace, Florida To share or post to your site, click on "Post Link". Please mention / link to the Greater Fitchburg For Life. Thanks! 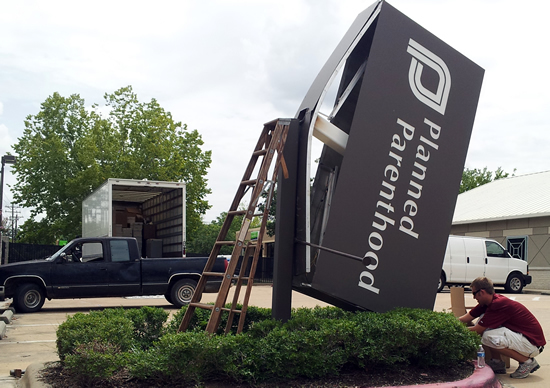 We know that to be true ... since one of those closed abortion centers is the Planned Parenthood facility where 40 Days for Life began – the place that now serves as our headquarters in Texas. The abortion business is hurting – and the statistics tell the story. It’s good to see the secular media picking up on this growing trend. We know of 67 abortion centers where 40 Days for Life vigils took place that are now closed. We are confident that as we pray, fast and offer loving alternatives at the abortion facilities, even more will close. Perhaps the one in your town will be next! The volunteer noted that it was without a doubt a painful, traumatic experience … but that the baby, who had done nothing wrong, should not have to die. She thanked the vigil participants and noted that she’d thought pro-life people were judgmental and hated those who disagreed with them. “I will definitely spread the word,” the woman said. Two women pulled into the Planned Parenthood parking lot and just sat in their car … watching vigil participants pray for about ten minutes. When they finally got out of the car, they headed straight over to ask the 40 Days for Life team if they had any information regarding pregnancy. They learned that the two women were aunt and niece. The niece was considering abortion … but it was her aunt doing all the talking. After the volunteers gave them information regarding local pregnancy centers and the development of the baby, they started walking back to their car. They stood beside the car ... talking for another ten minutes before they got in and started the engine. Tags: DAY 19, Abortion Centers, Closing, Record Pace, 40 Days for Life - 2016, Fayetteville, North Carolina, Tempe, Arizona To share or post to your site, click on "Post Link". Please mention / link to the Greater Fitchburg For Life. Thanks! Shawn Carney, Campaign Director, 40 Days for Life: It’s no secret that spiritual warfare can go on outside an abortion facility. Sometimes, it can be pretty obvious. But at other times, it can be a more subtle distraction. It can often come in the form of a quick shout from a passing driver. “Get a life!” and “Get a job!” and “Do something useful!” are commonly heard. Of course, you are doing something useful. So don’t worry about it! Just smile, brush it off … and keep on praying! “We didn’t have to think twice about the answer,” said Stephen in Manchester. 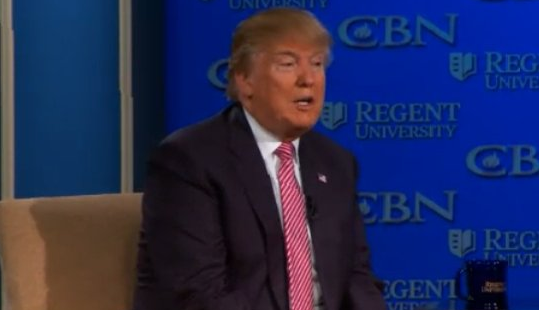 The mothers, babies and abortion workers all need your prayers, he said. 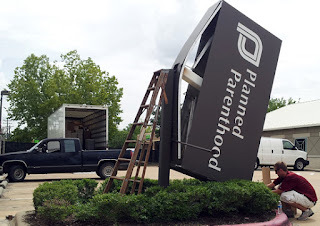 “Can you please donate some of your time … and peacefully pray in front of Planned Parenthood? One of the counselors in front of Planned Parenthood was able to strike up a conversation with a young woman who accepted information about community resources. The volunteer offered to take her to the pregnancy help center, but she said her mother could give her a ride. But first, she was going into Planned Parenthood. As she turned to go in, the counselor suggested that she hide the list of resources she was given. Other women had reported that the center’s staff had yanked the paper from their hands, while telling them they didn’t need it. The young woman’s mom tried her best to ignore the vigil participants. After quite some time, she went inside to get her daughter. When they came out, the daughter told the volunteers they were headed to the pregnancy help center – and that she was keeping her baby. The campaign in Mexico City’s Roma area began with a group of more than 50 … and strong encouragement from a local pastor that they work as missionaries of the Gospel of Life. The volunteers have seen a number of couples arrive … stop for a time right in front of the abortion business … and leave. “We hope those will be lives saved from abortion,” she said. Tags: DAY 18, 40 Days for Life, 2016, Manchester, New Hampshire, Orlando, Florida, Mexico City, Mexico To share or post to your site, click on "Post Link". Please mention / link to the Greater Fitchburg For Life. Thanks! The 1st District Court of Appeals this morning lifted an injunction that prevented Florida’s 24-hour waiting period from taking effect, the Associated Press reported. Tags: Appeals Court Panel, Upholds, Florida, 24-hour Waiting Period To share or post to your site, click on "Post Link". Please mention / link to the Greater Fitchburg For Life. Thanks! Tags: Hillary Clinton, Bernie Sanders, Support Unlimited Abortions, Up to Birth, Don’t Give Them a Pass To share or post to your site, click on "Post Link". Please mention / link to the Greater Fitchburg For Life. Thanks! 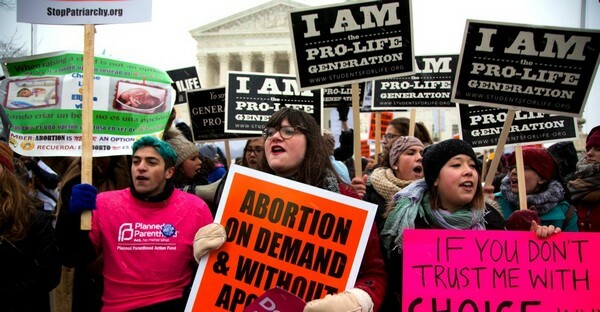 The Thomas More Society law firm has been on the front lines of protecting the rights of 40 Days for Life volunteers across the United States since the early days of the campaign … and they’ve just recorded another victory on behalf of a local vigil! It is often the case that the abortion centers have friends in local government who are eager to do things that will discourage vigil participants. We covered this important topic in a recent podcast episode. Not only does the Thomas More Society help 40 Days for Life ... but they are also currently defending investigator David Daleiden. Thankfully, they are great at what they do. Early in the campaign, a city police officer told the people praying at the 40 Days for Life vigil that they were not permitted to stand on the sidewalk outside the abortion center. He basically said the abortion business could decide who could or could not occupy the public sidewalk … and the center’s management didn’t want them there. So the volunteers got in touch with the Thomas More Society’s team. “Forbidding pro-lifers from standing on public property violates 75 years of clear Supreme Court precedent that gives broad protections to those engaging in free speech in public places,” said Corrina Konczal, Thomas More Society associate counsel. The attorneys wrote to the city, challenging the officer’s directive. Thanks to the Thomas More Society for resolving this quickly … and thanks to the 40 Days for Life team in Hollywood for standing up for their free speech rights. As with most of the campaigns across the country, the Bloomington, Indiana, campaign got off to a frigid and snowy start. But the sacrifice of being out there praying in such inclement weather is truly what moves hearts and gets people thinking. Vigil participants also told of a mother and her son who stopped by to chat. The mom asked the boy if he’d be willing to pray outside for the babies. He said he could see himself doing that. They thanked the volunteers for being there. Tags: DAY 17, Know Your Rights, ,Save Lives, 40 Days for Life, 2016, Hollywood, Florida, Bloomington, Indiana To share or post to your site, click on "Post Link". Please mention / link to the Greater Fitchburg For Life. Thanks! Tags: Planned Parenthood, Over $1 Million, for New Ads, Promoting, Hillary Clinton To share or post to your site, click on "Post Link". Please mention / link to the Greater Fitchburg For Life. Thanks! Tags: Ted Cruz, Investigate Planned Parenthood, First Day in Office, if Elected President To share or post to your site, click on "Post Link". Please mention / link to the Greater Fitchburg For Life. Thanks! Shawn Carney, Campaign Director, 40 Days for Life: Abortion businesses often require payment in advance … and they sure don’t like to give refunds! Please understand that abortion is a business. If there are no customers, they can’t keep their doors open. Some of the most recent closings have taken place for just that reason – there was no longer enough money coming in to cover expenses. It’s a particular blessing when a mother decides against abortion and goes home. And it’s always especially encouraging when she is confident enough to walk back in and demand that they return her payment. Ingrid, one of the 40 Days for Life leaders in Greenville, said her prayer time ended and she was just getting ready to leave – but she noticed a car turning into the abortion center’s driveway. "No,” the young woman answered. “I was going to have one … but I came to get my money back." Just to be sure of what she’d heard, Ingrid asked if she’d planned to have an abortion but changed her mind. “Yes,” she said. “Babies are a blessing." Mary, the leader in Cincinnati, thanked all of the faithful volunteers who braved the extreme cold and kept their scheduled prayer times at Planned Parenthood. One of the counselors spoke to a mother and daughter who were on their way into Planned Parenthood. The abortion was the mother’s idea. The daughter didn’t really seem willing. “What an amazing campaign!” said Kathy in Memphis, thankful for the faithful volunteers who pray outside the Planned Parenthood abortion center as part of the 40 Days for Life vigil. Vigil participants spotted a young woman who got off the bus and headed towards Planned Parenthood for an abortion appointment. One of them spoke to her – she seemed scared – and offered words of hope, love and help. Two hours later, the previously abortion-minded woman learned she was teen weeks into her pregnancy … and was now making adoption plans. “We hugged her, gave her encouragement and told her of our continuing prayers,” Kathy said. Tags: DAY 16, get my money back, 40 Days for Life, 2016, Greenville, South Carolina, Cincinnati, Ohio, Memphis, Tennessee To share or post to your site, click on "Post Link". Please mention / link to the Greater Fitchburg For Life. Thanks! Tags: Donald Trump, Wants “Pro-Life, Conservative” Supreme Court Judges To share or post to your site, click on "Post Link". Please mention / link to the Greater Fitchburg For Life. Thanks! Tags: Lands’ End, Scrubs, Web Site, ,Hide Donations, Abortion Activist, Gloria Steinem To share or post to your site, click on "Post Link". Please mention / link to the Greater Fitchburg For Life. Thanks! 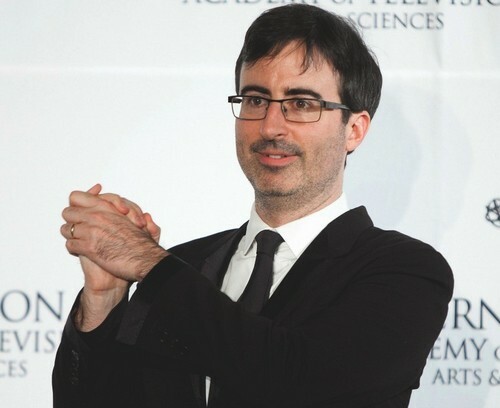 by Sarah Torre, The Daily Signal: On Sunday, late night comedian John Oliver spent 16 minutes of his HBO show cracking jokes about abortion in a crass attempt to satirize reasonable state laws requiring abortion clinics to follow minimum health and safety standards. The brunt of Oliver’s mocking attack was aimed at a 2013 Texas law that is currently being reviewed by the Supreme Court. The law, known as H.B. 2, in part requires doctors performing abortions to have admitting privileges at nearby hospitals and abortion clinics to meet the same basic safety and cleanliness standards as other facilities that perform invasive outpatient procedures. Regulations like H.B. 2 are common sense and much-needed policy measures. The dangerous, unsanitary conditions of Philadelphia late-term abortionist Kermit Gosnell’s “house of horrors” shocked the nation when they came to light during his 2013 murder trial. In fact, the almost 300-page grand jury report detailing Gosnell’s filthy facility and illegal operation specifically recommended that Pennsylvania lawmakers regulate abortion clinics as ambulatory surgical centers (ASCs) “to prevent future Dr. Gosnells.” Pennsylvania, along with half a dozen other states, began work on elevating abortion clinic standards shortly thereafter. Importantly, Gosnell’s clinic—though one of the more horrific—is not an outlier in the abortion industry. Indeed, as amicus briefs in the Texas case detail, some abortion facilities in the state failed to meet sanitation, staffing, and emergency preparedness requirements—even before passage of H.B. 2. Oliver and many other supporters of abortion would have Americans think that an abortion is not much more complicated than having a cavity filled. But they are wrong. Surgical abortion is an invasive surgical procedure, and like any other invasive procedure, it comes with risks. Medical professionals who testified during consideration of H.B. 2 likewise detailed the risks of both surgical and medication abortion, noting that some complications will require follow-up care at a hospital. The chance of serious complications (and hospitalization) for abortion is relatively low. But when complications do occur, they can be serious. Just ask the 3,348 women who were injured, physically and psychologically, by abortion procedures who filed an amicus brief in the Texas case. Some of those women faced serious infections, perforated organs, and the inability to have children later in life after having abortions. Before passing H.B. 2, the Texas legislature heard many hours of testimony from medical experts explaining that the higher health and safety standards can improve patient health outcomes. Experts testifying in favor of H.B. 2 explained how admitting privileges (meaning a doctors has qualifications to admit and care for a woman at a nearby hospital) help ensure greater continuity of care in the event of an emergency, increase communication between the abortion doctor and hospital staff, and act as a check on the general quality of doctors practicing medicine. Handling of dangerous substances and fire prevention standards: including safe storage and handling of anesthetics, having an evacuation plan, etc. Physical design and construction standards: including minimum widths of hallways to allow gurney access, number and placement of soap dispensers to prevent spread of infection, design specifications for operating rooms, exam rooms, and waiting areas, etc. At one point, Oliver states “abortion can’t just be theoretically legal, it has to be literally accessible.” Oliver, like many abortion supporters, expresses apocalyptic fears for what will happen if laws like the one in Texas lead to higher costs for abortion clinics, ultimately resulting in having fewer of them. In reality, women will still be able to access abortion even if the Texas law is upheld. If the Supreme Court affirms the lower court’s decision and allows H.B. 2 to go into effect, over 90 percent of women of reproductive age will live within 150 miles of an abortion clinic. Every major metropolitan area in Texas will continue to have at least one abortion facility and Texas will still have 430 ambulatory surgical centers, many of which could begin performing abortions in compliance with the law, or abortion clinics could simply accept any additional upfront costs as the price of women’s safety. Besides, abortion clinics closing their doors may have to do with the decreasing demand for abortion (and increasing market share of Planned Parenthood, the national leader of the abortion industry) more than their resistance to meeting higher health and safety standards. More importantly, the supposed right of a woman to get an abortion is not a right of abortion providers to be exempt from health and safety regulations. All Americans, on either side of the abortion debate, should support elevating the health and safety of women, and the Supreme Court should recognize state’s legitimate interests in doing so. Because saving the health or life of even one woman is no laughing matter. Sarah Torre focuses on policy issues related to religious liberty, marriage and family as policy analyst in the DeVos Center for Religion and Civil Society at The Heritage Foundation. Tags: John Oliver, jokes about abortion, crass attempt, satirize state laws, requiring, abortion clinics, minimum health and safety standards, got it wrong, abortion laws, Sarah Torre, The Heritage Foundation To share or post to your site, click on "Post Link". Please mention / link to the Greater Fitchburg For Life. Thanks! Shawn Carney, Campaign Director, 40 Days for Life: Every once in a while, we get to meet a baby saved from abortion at a 40 Days for Life vigil. It’s an occasion of almost unspeakable joy … realizing what might have happened to a happy young child if people had not been outside the abortion center, praying for mother and baby. And now – we get to introduce one of those children to you! Meet Roko and his mother, Melita. “Roko is the first saved baby during the 40 Days for Life campaign in Split,” said Ante, who brought 40 Days for Life’s first campaign to Croatia’s capital, Zagreb. The first 40 Days for Life campaign in Romania’s capital city features a display posted on a fence at the vigil site. It’s called “Look How They Grow” – a series of fetal development posters that certainly dispel any of the “clump of cells” arguments put forward by abortion proponents. The vigil participants are also letting people know about a local organization that offers life-affirming guidance for those who are told that abortion will solve their problems. The bishop in Bucharest posted a message of support for the campaign. He noted that abortion is the central point around which moral civilization will either stand or collapse. Why now? And why Bucharest? The bishop’s statement says there’s never a better time than the present. The Birmingham campaign has seen several encouraging signs thus far – starting on Day 1, when the abortion facility was closed. Early the next day, vigil participants noticed a woman who was on her way in for an abortion appointment – crying. They offered her information about other options, but she refused. A short time later, she came out … with a medical tag on her wrist. Tags: DAY 15, Meet Roko, 40 Days for Life, 2016, Split, Croatia, Bucharest, Romania, Birmingham, England To share or post to your site, click on "Post Link". Please mention / link to the Greater Fitchburg For Life. Thanks! Shawn Carney, Campaign Director, 40 Days for Life: Prayer saves lives. That is why prayer is at the center of a 40 Days for Life campaign. 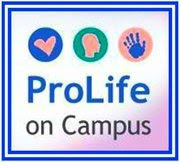 From the very beginning of 40 Days for Life, one man who saw the importance of praying outside abortion facilities was Fr. Frank Pavone, the national director of Priests for Life. In our latest 40 Days for Life podcast, Fr. Pavone and I discuss the impact of prayer ... and the need to pray for the nation in 2016. Fr. Pavone also discusses the importance of elections and the role prayer can play as you consider candidates … and vote. Abortion center staffs often try to intimidate prayer volunteers by making up imaginary rules and regulations governing the sidewalk. The 40 Days for Life team in Sterling Heights saw this recently – on two separate occasions. Two men whose girlfriends were inside the facility came over to chat with vigil participants. In both cases, the security guard came over to tell the men they were forbidden to speak to the people praying outside. The men were also told if they continued to talk to the volunteers, they would have to move their cars from the abortion center’s property. “You’d think people would wonder about what kind of place this is if they won’t let you talk to someone,” said one of the 40 Days for Life team members. On another occasion, the security guard spoke to a woman who’d come to talk to the vigil participants. When she finally made her way over to the group that was praying, she told them she’d had a baby after 25 weeks of pregnancy. Her doctor had recommended an abortion – but she chose life, and both she and her baby were fine. The prayer team in Newburgh was approached by a young woman who thanked them for being there. She said she’d had an abortion five years ago. She was in an abusive relationship and was pressured to abort. Feeling scared, desperate and alone, she went through with it … and has been suffering ever since. Thankfully, she was open to hearing about forgiveness … and was willing to take the hope and healing literature published by the Sisters of Life. 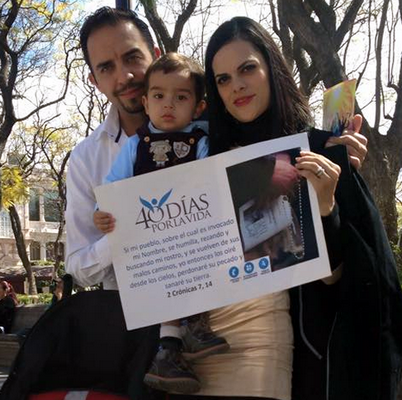 She said whenever she has an opportunity, she lets people know how the abortion wounded her. Please keep her in prayer. Tags: DAY 14, Praying in 2016, 40 Days for Life, Newburgh, New York, Sterling Heights, Michigan To share or post to your site, click on "Post Link". Please mention / link to the Greater Fitchburg For Life. Thanks! Tags: Ohio, Gov. John Kasich, Signs Bill, De-Fund Planned Parenthood, Abortion Biz, Cuts $1 Million To share or post to your site, click on "Post Link". Please mention / link to the Greater Fitchburg For Life. Thanks! Shawn Carney, Campaign Director, 40 Days for Life: Happy Monday! As the work week begins, here are some nuggets of good news to show you what God is doing in response to your prayer and fasting. 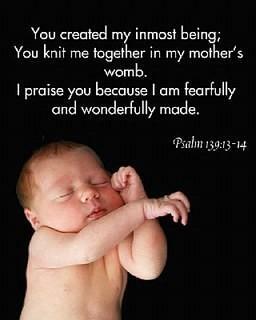 … 121 babies have been saved from abortion (that we know of)! That may seem like just a number. But each number represents a living human being, each of whom is now part of a story about the impact of prayer …. and God’s inspiration. A woman walked up to a couple of the people praying outside the Planned Parenthood abortion center and told an amazing story. “I just want to tell you that what you’re doing is not in vain,” she said. The 40 Days for Life vigil was in progress when she arrived for her abortion appointment. She’s married and has five children – the youngest is a one-year-old. Her husband was totally against the abortion … but she refused to consider calling it off. He eventually gave in … and accompanied her to Planned Parenthood. She went on to tell the volunteers that she was being prepped for the abortion … and the staff had already started an IV. It was at that moment she decided she could not go through with it! Volunteers in Philadelphia called it “a blessing in a blizzard.” Well, it wasn’t so much a blizzard as it was an unexpected snowfall in the early morning hours. But it was enough to delay a young woman on her way to the abortion center. Vigil participants, a pastor and a friend had encouraged her to reject abortion. But she got up that morning and headed to the appointment. One of the counselors outside the abortion facility was able to catch a young woman as she and a companion were driving out. The volunteer asked them to pull across the street – first of all, they didn’t want to block the driveway. But they also wanted to avoid the abortion center’s staff member, who started yelling at them. The woman said she was advised to have an abortion because of medical issues. The counselor listened with concern, but also told her about life-affirming medical assistance that could help her and her baby through the pregnancy. That eased her mind considerably, as she was both relieved and excited to receive the information. Tags: DAY 13, 121 babies saved, She changed her mind , on the table, 40 Days for Life, 2016, Pomona, California, Philadelphia, Pennsylvania, Charleston, South Carolina To share or post to your site, click on "Post Link". Please mention / link to the Greater Fitchburg For Life. Thanks!